As of 15 March 2019 - temporary 12 month relocation to a NEW address. We are temporarily moving the clinic to a new address that is very close by. This is due to construction works that are beginning on the block behind our old address. It will be a large, noisy construction, so for the comfort of our clients we have chosen to move temporarily (approx 12 months). The new address from Monday 18 March 2019 is 2/180 Main St, Kangaroo Point. So not far away, and there is metered street parking outside our clinic's new address. Please see MAP below. Your individual needs are paramount to Bonnie and care is patient-centered. 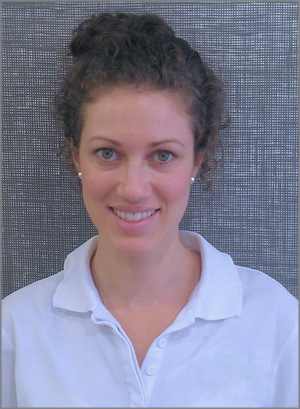 Bonnie's operates her Bounceback Musculoskeletal Therapy practice in premises located at 2/180 Main St, Kangaroo Point. The centre is easy to find and has metered street parking. Bonnie specialises in treating musculoskeletal pain and dysfunction on all levels with a warm and professional approach. She particularly enjoys working with sports injuries, headaches, neck and back pain and pregnancy musculoskeletal pains. She has worked as a massage therapist for the Brisbane Broncos, Brisbane Roar Football Clubs and Qld Firebirds Netball team. More recently she has enjoyed working with runners, cyclists and triathletes as the popularity of these sports grows. Bonnie has a strong interest in this area having taken up cycling a few years ago herself. Bonnie also prescribes a comprehensive ‘take home’ exercise program for clients to rehabilitate and effectively manage their condition. Bonnie is a member of the Australian Natural Therapists Association and is a recognised provider for private health fund rebates. Bounceback Musculoskeletal Therapy has premises at 2/180 Main St, Kangaroo Pointand you can make appointements online or by calling Bonnie on 0421 848 659. METERED PARKING is available in the streets surrounding the clinic.